Our tenants are strongly encouraged to keep their belongings insured. 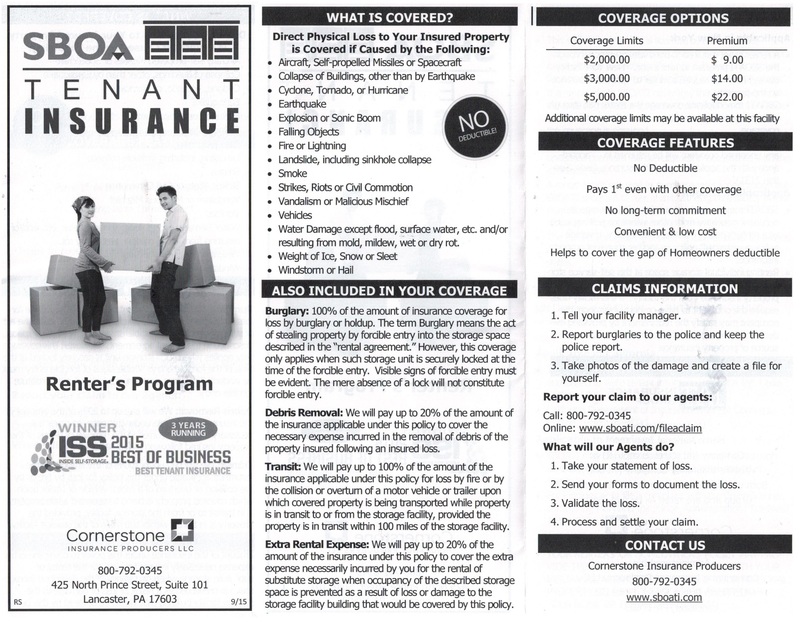 We offer Secure Customer Storage Insurance, a leader in the self storage insurance community. Secure offers a variety of coverage and premiums at costs to fit most budgets. We at All Purpose Storage keep our facilities in great shape! Even so, disasters do happen and often without warning. By keeping your property insured, you will be protecting yourself should any situation beyond your or our control occur.